Hands-On With The Nintendo DSi | OhGizmo! Nintendo sent over a DSi review unit for me to give a once over, and I’ve finally gotten around to processing and posting my photos comparing the new model to the older DS Lite. Overall it’s a solid update to the hardware, and while not revolutionary, I think it improves the DS where it counts. 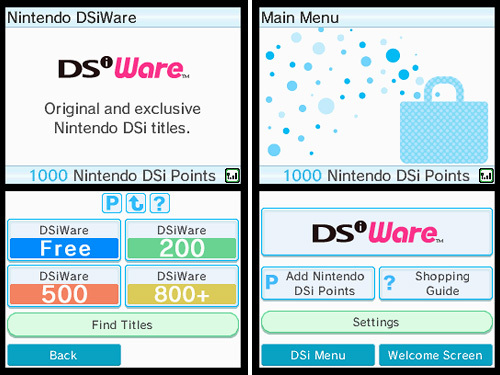 And the addition and potential of the DSi Shop is probably the biggest reason DS fans might want to make the upgrade. So if you’re still undecided, hit the jump for more of my photos and thoughts on the DSi. 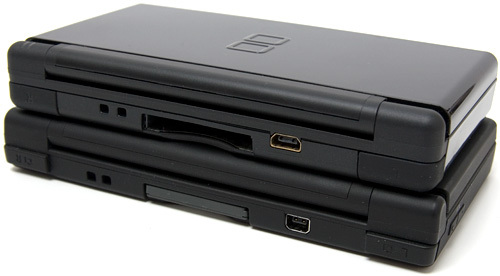 With the two systems sitting side-by-side, the most obvious upgrade to the DSi (pictured on the left) is the slightly larger screens on the newer model. 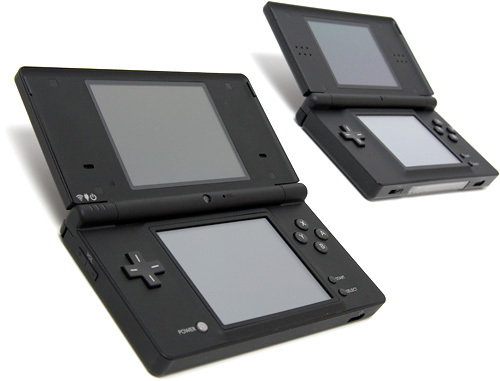 While the DS Lite sports a pair of 3 inch LCD displays, the DSi’s are each 3.25 inches. Now if you didn’t have a DS Lite on hand to make comparisons, you probably wouldn’t actually notice the larger displays on the DSi, but since the system is competing against both the PSP and the iPhone/iPod Touch with their generous-sized displays, any bump in screen size that Nintendo can throw our way is appreciated. But with that slight bump in screen size also comes a slight bump in the system’s overall size, but it’s negligible. 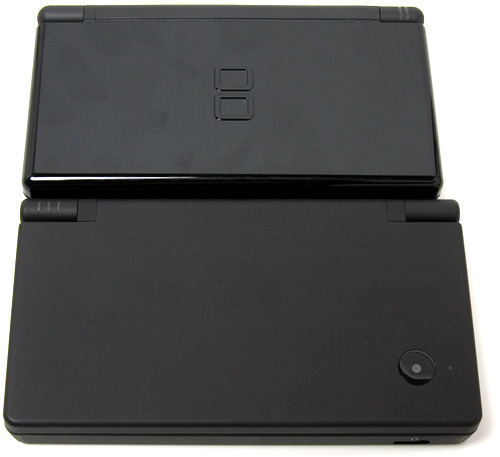 Here you can see the DSi below the DS Lite, and it’s really only slightly longer than the previous model. This shot also shows off the DSi’s matte finish paint job, which is a definite improvement over the DS Lite’s glossy finish since it’s far less prone to show fingerprints. Believe it or not the DS Lite was just cleaned before I positioned it for this photo, but it still managed to pick up a couple of prints. I guess I should have used the white cotton gloves. And even though it’s slightly longer than the DS Lite, the DSi manages to be just a bit thinner, mostly because it forgoes the GBA cartridge slot. As someone who still plays quite a few GBA games on a regular basis I’m sad to see it go, but as I’ll discuss later, the new DSi Shop has the potential to compensate for this loss. Still, if you’ve got yourself a decent collection of GBA carts you still enjoy on a regular basis, you might want to hold onto the DS Lite or your GBA Micro if you intend to upgrade to the DSi. 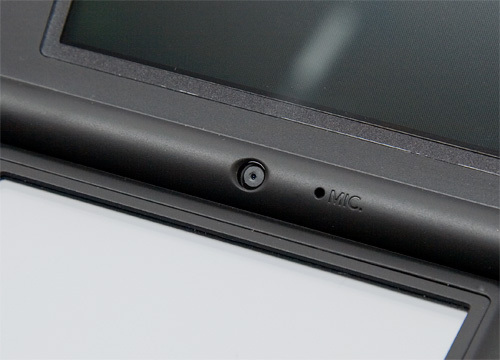 Another big improvement on the DSi, at least in my opinion, is the new buttons. They’re considerably more ‘clickier’ (if that makes sense) and firmer which I like since I found the buttons on the DS Lite to be a bit mushy. They’ve also all been slightly redesigned. Here you can see the Left shoulder button on the DSi (pictured on the left) is a bit smaller than the one on the DS Lite, and I actually much prefer the feel of the newer design. 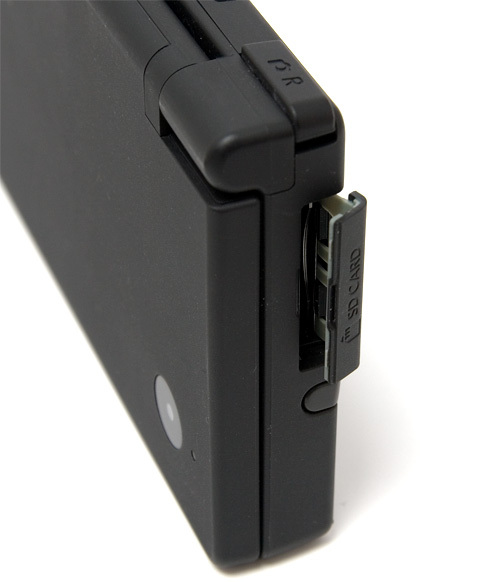 The power button has also been redesigned and moved just below the 4-way controller on the DSi, compared to being on the side of the DS Lite. 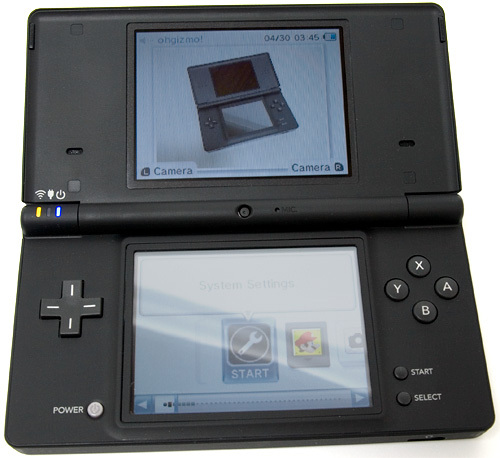 You’ll also notice that the DS Lite’s power button (pictured on the left) used a sliding mechanism to power the unit on and off, while the DSi’s is just a simple button. I find both solutions work just fine, but I like the fact that the DSi’s power button can’t be pressed when the unit is closed, where as the DS Lite could be accidentally powered on when crammed in your pocket. There is a downside though. The new power button on the DSi now doubles as a home button when navigating the system’s menus, or as a soft reset when playing a game. So if you accidentally hit it while in the heat of battle, you can say goodbye to your progress. The volume controls have also been vastly improved. I never really liked the analog slider used on the DS or DS Lite (pictured on the right) and preferred the volume up and down rocker button used on the GBA Micro. So I’m glad to see this has been carried over to the DSi. 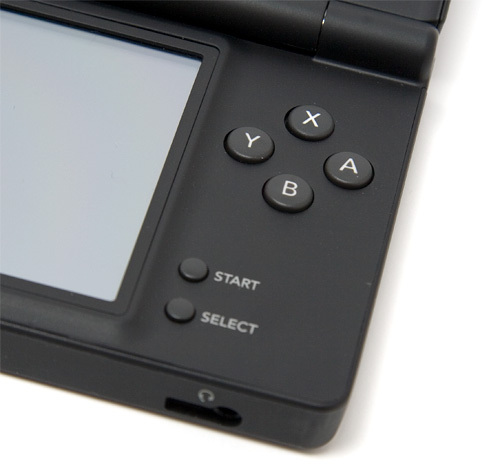 The Start and Select buttons have been made slightly larger, making them easier to press, and the four Y-X-B-A buttons don’t quite stick up as much as they do on the DS Lite. And like the shoulder buttons, they seem to be a bit firmer and ‘clickier’ which I much prefer. 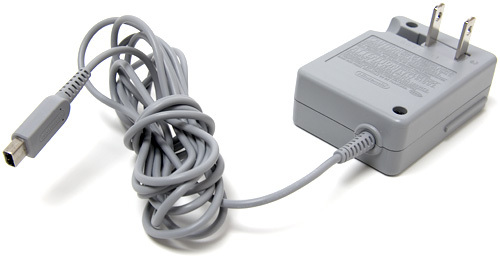 One thing I’m not so thrilled about with the DSi is the new power adapter, which for some reason is actually a bit larger than the one included with the DS Lite. I’m sure there has to be some reason for this, but that doesn’t mean I have to like it. Not when Apple seems to be getting the power adapters for their portable devices smaller and smaller every year. 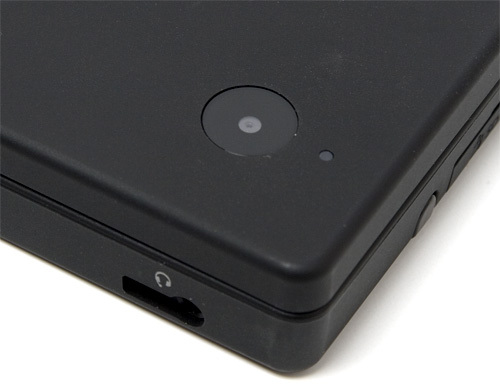 And the charging jack on the back of the DSi is different than the one on the DS Lite. Now I’m probably just nitpicking, since I’m never really going to travel with both units at the same time and have to carry two chargers, but I’m pointing it out nevertheless. …and one located on the top of the DSi which can be used more like a traditional digital camera for photographing pretty much anything else. However, it’s pretty clear that novelty is the name of the game when it comes to the DSi’s cameras. At 0.3 megapixels they’ve got far less resolution than even the most basic of cameraphones on the market right now. 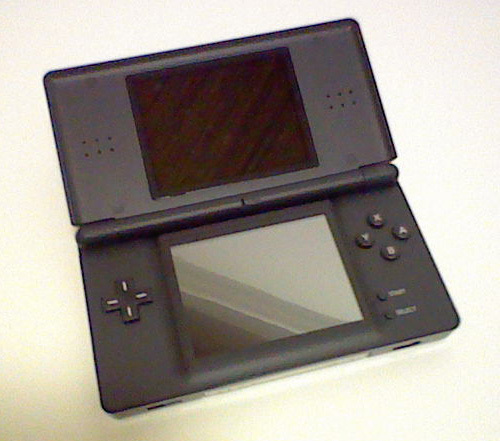 For example, here’s a photo of the DS Lite taken with the DSi’s external camera. It’s been cropped to 500 pixels wide, but it’s not been resized or processed in any way. As you can see it’s a bit noisy, even though that photo was shot in a well lit studio, and the overall image quality leaves a lot to be desired. However, the GameBoy Camera was far worse, and it managed to spawn a cult following with people still using it today, so maybe Nintendo knows something that Nikon and Canon don’t? 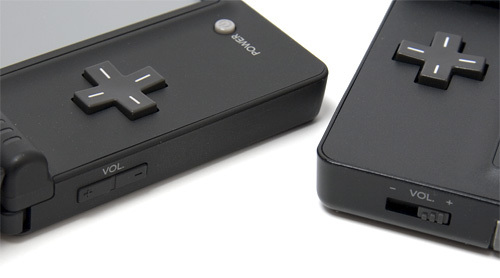 But even with the quality issues, it’s a nice addition as it expands what the DSi is, or will be, capable of. Finally, while the GBA cart slot is no more on the DSi, it’s been replaced by a slightly more useful SD card slot. It’s protected by a surprisingly sturdy rubber flap, and to be honest, anyone producing hardware with a protected SD slot should just copy what Nintendo has done here. 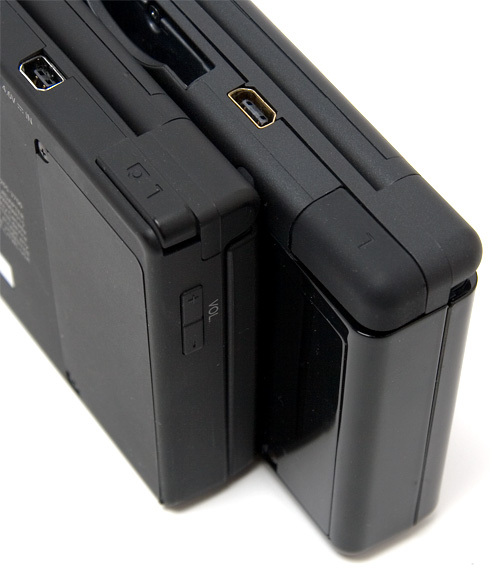 The SD cards can be used to copy photos off the DSi, should you need to include one in a review or something, and they also allow you to use the DSi as a music player, as long as all of your tunes are encoded in the AAC format. But hands down the biggest improvement with the DSi, and the reason anyone should really consider upgrading, is the software. The DSi’s menus have been vastly improved compared to the DS Lite, and that’s probably because the DSi can and will eventually be able to do so much more than its predecessor. Out of the box the DS Lite let you mess around with a handful of boring settings or load a DS or GBA title, but the DSi can do so much more when you first power it on… Well, maybe just a little more. The DSi camera app lets you take pictures with a collection of 11 different effects, watch slideshows, navigate your gallery and even do ‘fun’ morphing or goo-like effects with your images. There’s also a DSi Sound app which lets you play back AAC files from an SD card or even record your own audio clips via the DSi’s mic and then play around with different effects like pitch-shifting and voice modulators. But these apps come across as nothing more than a novelty, or even a tech demo, showing you what your new toy can do. If you’re older than 5 you’ll probably only ever play with them the first time you power on your system, but they do give you an idea of the DSi’s potential. So would I recommend the DSi? I have to say yes. If you don’t currently have a DS, the DSi is absolutely the better choice over the DS Lite, even with its higher price tag. But if you already have a DS Lite, I don’t necessarily think you should run out and upgrade right away. The larger screens, improved buttons and cameras are all great updates to the hardware, but they just don’t make it a must-have upgrade right now, particularly since the DSi also has a reduced battery life (maximum 14 hours) compared to the DS Lite (maximum 19 hours) and that blasted new charger! But the potential of the DSiShop is the DSi’s real ‘killer app.’ Unfortunately there’s not a lot of compelling titles available at the moment, but if WiiWare and the Wii Shop Channel are any indication of what’s to come, I’m confident the DSi will eventually be worth adding to your Nintendo collection. If you have any questions about the DSi you’d like answered, please feel free to leave them in the comments, and I’ll try to respond to them as best I can. It really is a great looking console. Can we copy dsi ware from one dsi to a different one?? I am fed up with DSi and DSi LL, I wanna buy a Wii now.